The flu season may be starting early this year in So Cal. We’ve had 3 clients ask us for ideas for how to beat their flu infections and 3-4 clients call us for ideas a week after they got the flu. To help be more proactive this season , we want to our Five Favorite Remedies to use when you FIRST start to feel sick. Don’t start this after you’ve got a chest full of phlegm and you’ve been hacking for 3 days. By then, it may be too late. For example, it’s critical that you act quickly to halt the rapid replication of a flu viruses occurring in your body within the first 24-36 hours. So go to your nearest health food store/ pharmacy and get stocked up on these 5 items, or call our office. We keep several of these items always in stock. Zinc Lozenges: In a comprehensive analysis of the effects of zinc lozenges on viral upper respiratory tract infections, doses greater than 75 mg daily were shown to reduce symptom duration by 20 to 42%! Taken at the first sign of a cold, or scratchy throat, cough or flu like muscle aches, zinc lozenges taken every two hours can abort a cold by the end of the first day. 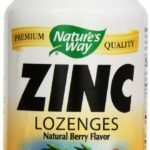 Considering how inexpensive zinc lozenges are, it makes sense to keep them in the medicine cabinet so that they are immediately available if cold symptoms manifest. This brand is available at most health food stores for under $4 bucks. Dose: One lozenge typically contains 18- 25 mg of zinc citrate or gluconate, Take one every two waking hours. Do not exceed 8 lozenges daily (it can irritate your gut lining) and continue this regimen for 3 days. 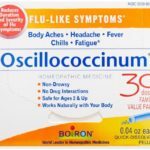 Oscillococcinum– This safe, FDA approved, homeopathic remedy works naturally with your body to temporarily relieve flu-like symptoms, such as fatigue, headache, body aches, chills and fever. Oscillo has been shown in clinical studies to help reduce both the duration and the severity of flu-like symptoms. It does not cause drowsiness or interact with other medications. Take it even if your a just fatigued and run down. It can help prevent the flu from starting. Dose: 25mg-100 mg early in the day. Continue for 3-5 days. We use Designs for Health Brand in a 5mg or 25 mg dose. 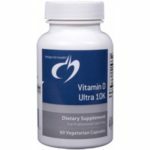 Vitamin C – In order to protect against infections (particularly viral), your immune system requires a sufficient daily intake of vitamin C which enhances the production and action of white blood cells like neutrophils to attack and engulf viruses quickly. Dose: 1-gram or 1000 mg dose of vitamin C 3x/day can reduce the incidence and severity of a cold and flu at the first sign of symptoms and continue for 3 days. Bottom Line: Doc and I recommend early and aggressive action at the first sign of a cold or flu! Do not delay implementing the above regimen. Once a flu virus infects too many cells, it replicates out of control and strategies like zinc lozenges and Vitamin C will not be as effective.